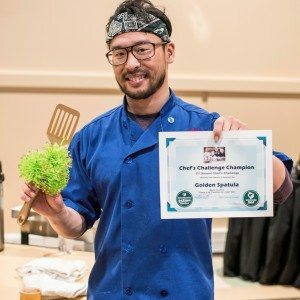 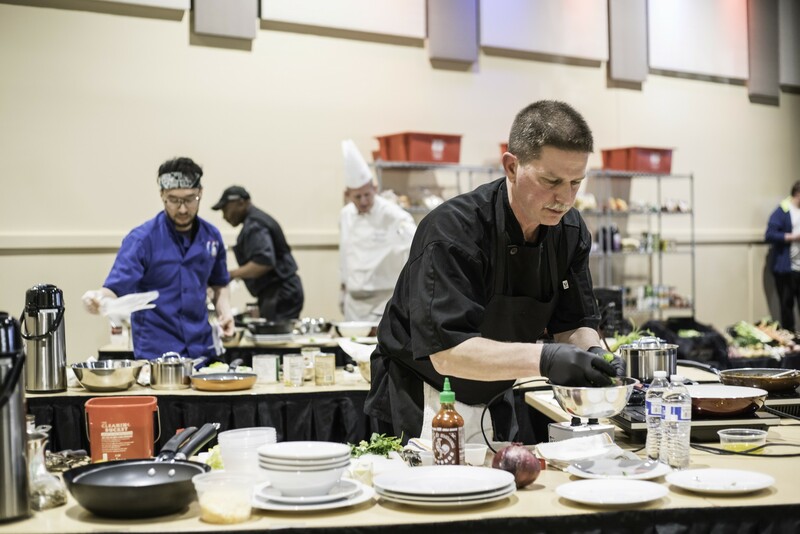 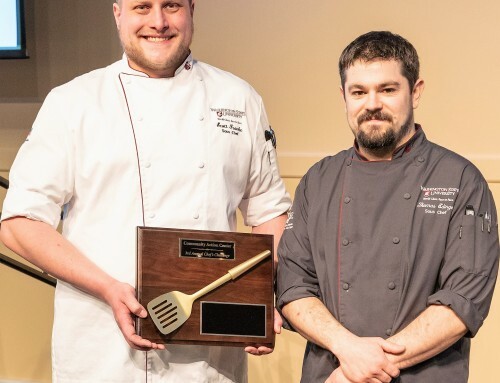 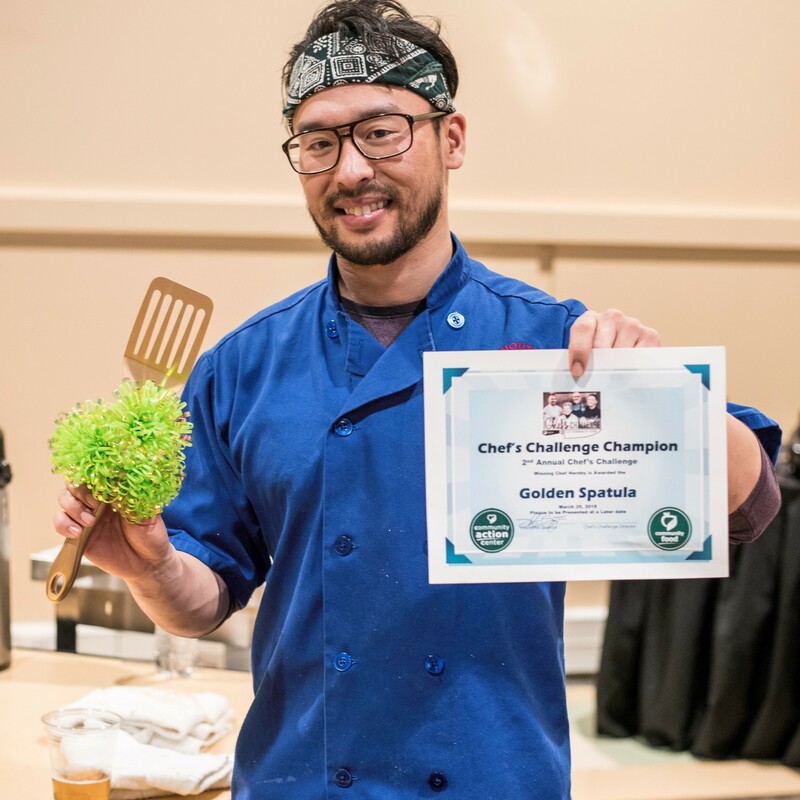 Chef Lee Wilkins competed against two other local chefs on Sunday, March 25, creating an appetizer and an entree from ingredients commonly found at the Community Food Bank, including a mystery basket that featured tilapia and canned ground pork. 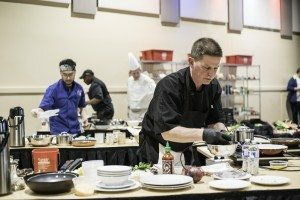 Returning competitor Chef Will Wohlfeil of South Fork and Chef Howard Campbell of WSU’s Southside Café both competed against Chef Lee, who is the Northwest Area Manager for Greek House Chefs. 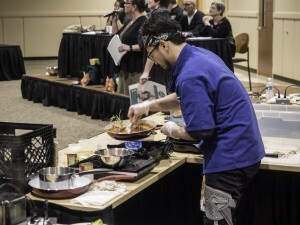 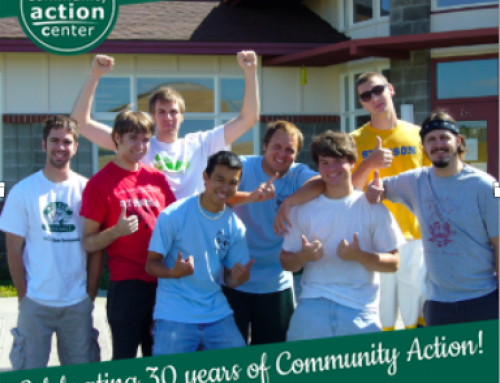 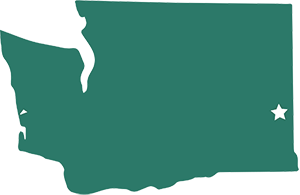 Nearly $15,000 from the event will be used to strengthen Community Action Center’s Community Food programs, including the Food Bank, Gardens, Cooking Classes, and Food Rescue. With support of those who attended and bid on the silent auction items, as well as the sponsors listed below, the event was a partnership between Community Action Center, South Fork, SEL, and Paradise Creek Brewery.